With added ice and yogurt, this smoothie is both sweet and creamy in addition to being packed with body building nutrients. Bananas are good for digestion and when consumed in a smoothie, they provide enough potassium to help your kids’ digestive system. You can give them this smoothie in place of sugary drinks. Mangoes can be paired with a wide array of fruits to make a smooth, refreshing drink your kids will love. Mangoes are also naturally sweet, so no sugar is needed in the smoothie. In place of sugary chocolate and candy, you can use cocoa powder, milk, and banana to make a healthy, filling smoothie that satisfies your kids’ sugar cravings. Add mangoes and peaches to this smoothie for a colorful and fun drink that your kids will appreciate on a gloomy or rainy day. You can even add regular water or coconut water to enhance the flavor and sweetness of the drink. Add spices to this fruity treat to give it an edge. Using fruits that are not frozen will help to make the smoothie a lot thicker and creamier. Recommended spices include cinnamon and nutmeg as they are both spicy and sweet. Mangoes and bananas are quite sweet fruits, and together, they make for a delicious drink that satisfies your kids’ cravings for sugar. You can add other tasty fruits such as berries to enhance their flavor, along with sugar-free yogurt for a thicker, creamier smoothie. This smoothie is a fan favorite mainly because of its multiple layers and colors that attract young children’s imagination. You can add some ice cream to the mix to make it even tastier, and when it comes to choosing fruit, that decision falls to you or your kids as this smoothie is quite versatile. Feel free to play with your ingredients and try out fun combinations such as kiwis and peaches or strawberries and mangoes. 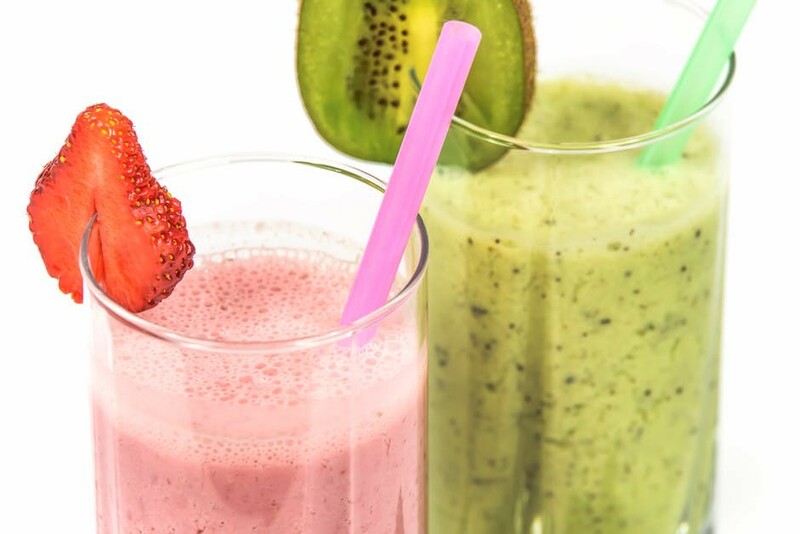 With the right ingredients, you can make a wide range of fruit smoothies that you kids will love, and you never have to worry about them being bored with their food. With their versatility, fruit smoothies are perfect even for the pickiest of eaters, and they are a good addition to breakfast meals as they fill up the body without causing bloating or sugar crashes. Take note to look out for allergies and avoid fruits and other food that your little ones are either intolerant to or not comfortable with.